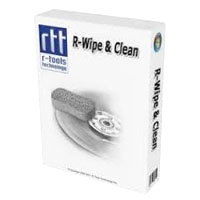 R-Wipe and Clean is a complete solution to wipe useless files and keep your computer privacy. Irretrievably deletes private records of your online and offline activities, such as temporary internet files, history, cookies, autocomplete forms and passwords, swap files, recently opened documents list, Explorer MRUs, temporary files, etc. It irretrievably deletes private records of your online and off-line activities, such as temporary Internet files, history, cookies, autocomplete forms and passwords, swap files, recently opened documents lists, Explorer MRU (most recently used) lists, temporary files, and traces from more than 300 third-party applications, thus freeing up your disk space.